We’ve had a nose over on Leicester City’s Foxes Talk to see what their fans make of Everton’s appointment of Steve Walsh as Director of Football. MattP: ‘Absolutely gutted, a bigger loss than any player could have been for us, wish him well and Everton are about to see some serious talent arriving. Thanks Steve, we couldn’t have done this amazing thing without you’. Lcfc_lass10: ‘I respect him a lot. However, it does feel like a kick in the teeth’. Freeman’s Wharfer: ‘Find it harder to stomach this one than the Kante one. One never really wanted to be at the club and was only really here because his agent had pushed him in our direction, the other signed a new contract just two months ago. Shows that any contract in football isn’t worth the paper it’s written on (non-playing staff included). For players people usually give the “it’s a short career” stuff to justify the lack of loyalty to the club/contract they themselves signed but in this case it doesn’t apply. Leaves a bit of a sour taste’. 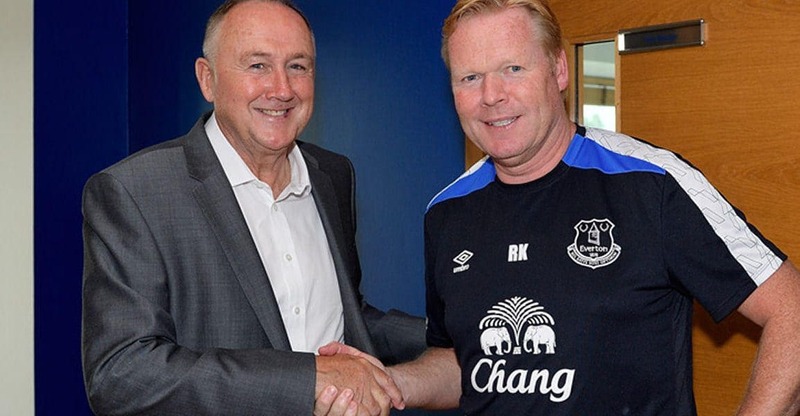 Goober: ‘Everton bring in Steve Walsh while Liverpool spend £25m on Wijnaldum lol ?. Can see Everton doing some big things over the next few years now. Massive shame but good luck to Walshy, did an incredible job for us’. Kingfox: ‘Gutted, but too good of an opportunity to turn down. Think his statement says it all, he knows the club well and his brother used to play for them, plus he wants to be closer to home. Another kick in the teeth but we move forward’. EnglishOxide: ‘Good luck to him. He did so much for us and has left us in a great position. We will get over it sooner than we think IMO, just like Kante’. what? : ‘Place your bets for the 17/18 champions then. Absolutely gutted to see him go but it couldn’t diminish everything he’s done for the club. All the best to him, I hope he does well there’.